Rohit Sharma led men-in-blue must be high on confidence after winning two of the last three matches in the tournament. If the India national cricket team happens to win today too, then it will make itself a place in the final of the series – Nidahas Trophy Twenty20 triseries. Today’s match is to be played at the R Premadasa Stadium. DSport will broadcast the match live as it has the telecast rights. Apart from it, Rishtey Cineplex and Rishtey Cineplex HD will also show it on TV in both Hindi and English commentary. 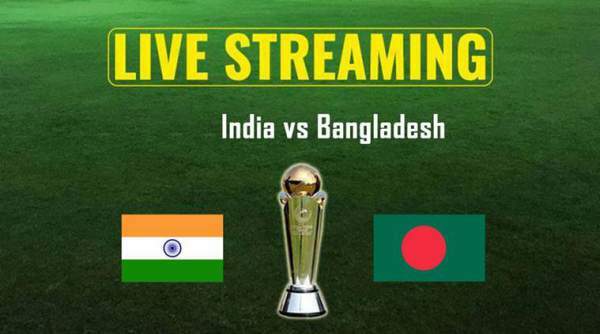 Moreover, JioTV will also stream the match live. The BAN vs IND match will start at 7 pm IST. Bangladesh won’t be an easy prey considering the fact that they successfully chased 215 runs against Sri Lanka. Also, they defeated Sri Lanka once. So, both of these victories will definitely increase their winning chance by some margin. They may make it to the final. Sri Lanka’s victory against India was a little unexpected. The Indian team lost in the series opener, but bounced back and won two games consecutively. If India happens to lose this match, then it won’t mean the end for them, probably. It’s because it will finally depend on the Bangladesh vs Sri Lanka game. The net run rate may come as a crucial factor. The seasoned players of India like Kohli, Dhoni, etc. are not playing. Thus, giving more chance to the younger ones to get experience and settle. Hooda, Siraj, and Patel haven’t played a game yet in the tournament. However, all rounder Shankar playing in Hardik’s place has been doing well. India’s captain Rohit hasn’t been playing well. He seems to be out of form for now. The men-in-blue haven’t got a good start yet. Raina has been making 20s and Pandey stays steady in the middle order. Kartik made 39 off 25 balls. Indians restricted Bangladeshi to 139, but they bursted out against Sri Lanka and chased the highest ever target on Sri Lankan soil. The costliest buy of IPL 2018, Jaydev Unadkat hasn’t perform well enough yet. He has given runs in all the three matches. Thakur has performed good while Vijay has been performing steadily. Wrist-spinner Chahal has been expensive while off-spinner Sundar has shown his capablities by bowling in the powerplay overs. India: Rohit Sharma (captain), Shikhar Dhawan (vice-captain), Lokesh Rahul, Suresh Raina, Manish Pandey, Dinesh Karthik (wicket-keeper), Deepak Hooda, Washington Sundar, Yuzvendra Chahal, Axar Patel, Vijay Shankar, Shardul Thakur, Jaydev Unadkat, Mohammad Siraj and Rishabh Pant. Bangladesh: Mahmudullah (captain), Tamim Iqbal, Soumya Sarkar, Imrul Kayes, Mushfiqur Rahim (wicket-keeper), Sabbir Rahman, Mustafizur Rahman, Rubel Hossain, Taskin Ahmed, Abu Hider, Abu Jayed, Ariful Haque, Nazmul Islam, Nurul Hasan, Mehidy Hasan, Liton Das.